There is a lot of buzz around Amazon’s new Kindle 2 and, may be because being a member of a nation that don’t read much, I’m getting hard time understanding why everybody is thrilling for a yet-another e-book reader. Since almost every technophile in the world, who can afford a netbook or a smart/pda phone, has already have a gadget that gives him (or her) pleasure of reading books in a digital environment, what is the catch for a new pricey ($359!) 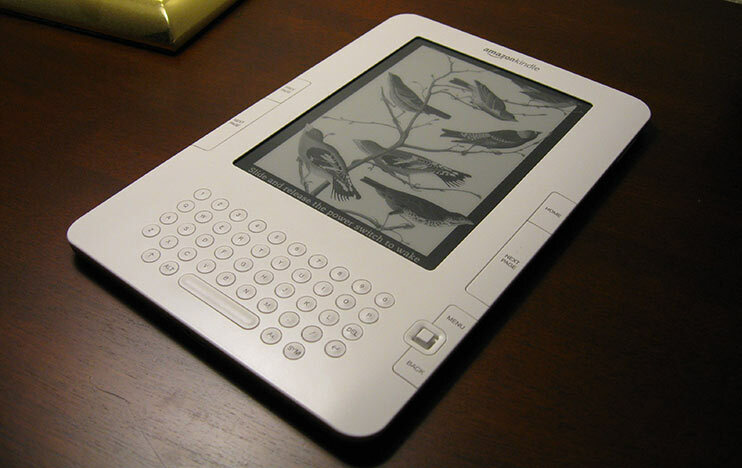 e-book reader that its sole ability is to serve you digital editions of books? Oh, I know, Kindle has a web browser and plays mp3s, too. But even netbooks’ performance on browsing web is questionable, I don’t think one can use the Amazon’s gizmo for a satisfactory browsing experience, and your cell phone is probably a much more capable player when it comes to music. Comfort of having a specifically designed device, which resembles a book and has an optimized screen for reading books, can make you feel good if you are a frequent reader. But for me, it is just an addition of another brick in my bag.